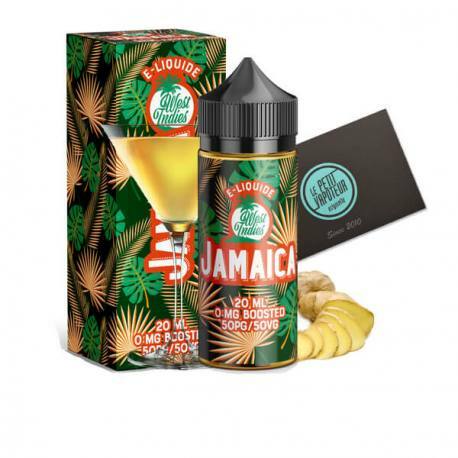 E liquid Jamaica West Indies 20 ml. Discover the Ginger Wine, the famous antillaise drink with a base of White Wine, Ginger, Herbs and Spices. this e liquid is of course without the alcohol. The Jamaica E Liquid 20ml is produced in France by Savourea.